Light in weight, extremely high dimensional stability. 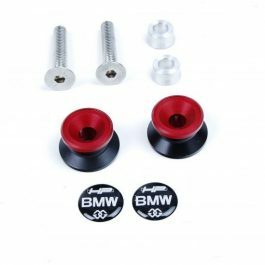 Anodized in three colors (titanium colored, red, clear). The anodizing process forms a protective coating that effectively resists corrosion. 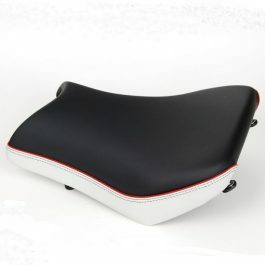 The HP front footrest system offers a wealth of adjustability options for adapting to the rider’s needs and preferences. Stepless adjustment of the footrests: Rotation for height adjustment, plus fore-and-aft adjustment. By comparison with the standard footrests, this system offers the added benefits of up-and-down and fore-and-aft adjustment. Gradations marked on the footrest system make it easy for the customer to make adjustments (identical positioning on both sides by preference). Adjustability of the shift lever: The peg has fore-and-aft adjustment (3 positions). The relative positions of the shift lever and the footrest generally remain unchanged, in other words when the footrest is adjusted the shift lever is also automatically moved at the same time. 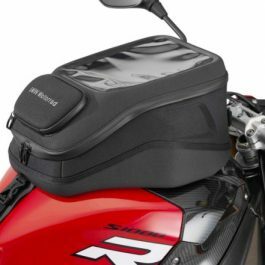 The range of positions for the peg mean that clearance can be optimized to suit the size of the rider’s boot. Adjustability of the brake lever: This peg also features fore-and-aft adjustment to any of 3 positions. By contrast with the shift lever, the brake lever does not automatically change position when the footrests are adjusted. 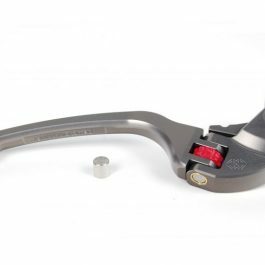 This fore-and-aft adjustment feature is designed primarily to permit adjustment of the position of the brake lever relative to the footrest. The HP footrest is approx. 20 mm shorter than the standard footrest for more ground clearance at extreme lean angles. The footrest is knurled, so it offers good grip (even in wet conditions). Unlike the standard parts, the footrests are not pivot-mounted. 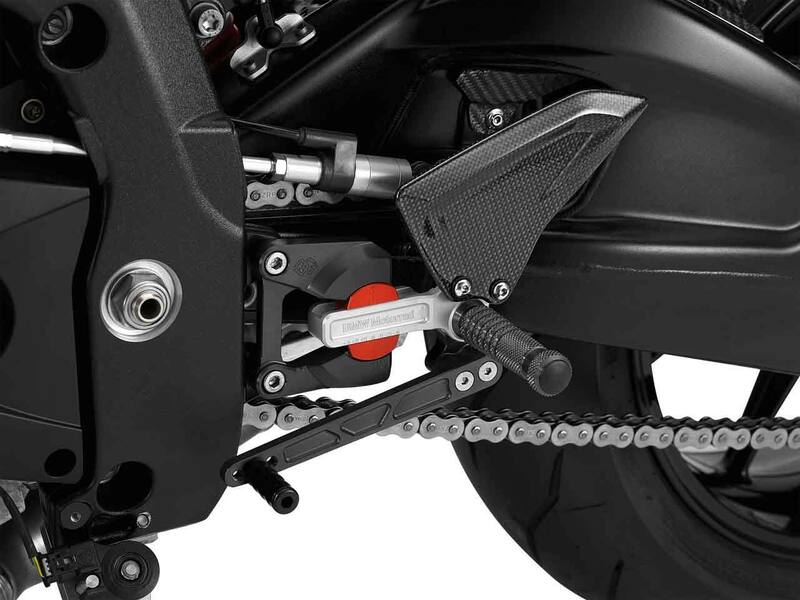 With Carbon heel guard (smaller than the HP Carbon heel guard available as an option for the standard footrests; this optional accessory cannot be combined with the HP front footrest system). Included: Left footrest system, right footrest system, instructions for adjustment. Be the first to review “HP Adjustable Footrest Set S1000RR 10-14 / S1000R >16” Click here to cancel reply.